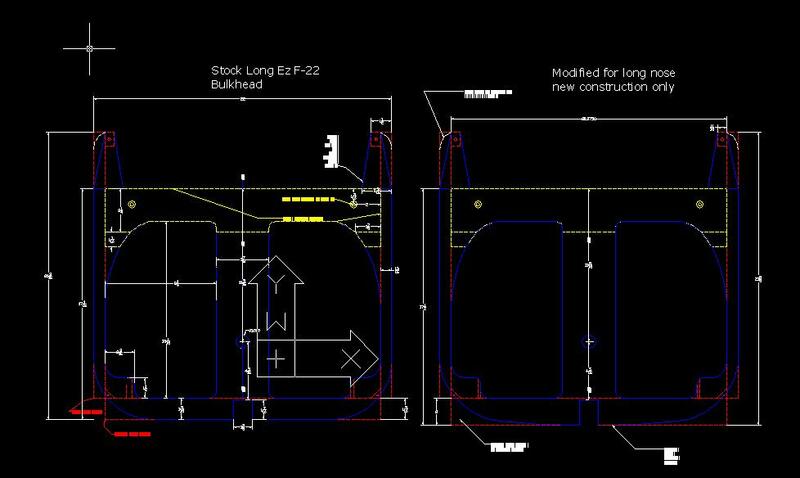 Tony Malfa has generously provided a set of CAD drawings for the Long-EZ. The drawings include NG30, F22, F28, Instrument Panel and the front and rear seat bulkheads. The zip file contains six Autocad drawings that can be printed to full scale at most Kinkos. Tony has spent a large amount of time on these drawings and they have been used on his long-nose Long-EZ. Each drawing includes a stock drawing and a corresponding modified drawing next to it so you can see exactly what has been changed about the original. Tony reports that all measurements are in fractions to make it a bit easier to measure and all measurements where made from an original set of plans. Tony can also supply them in decimal inches if required. 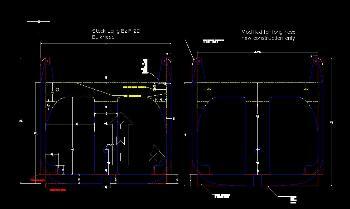 You must view these in Autocad to get the full appreciation of the detail involved. You may also use Turbocad and it can be purchased from most office supply stores. Tony reports the PDF versions included in the zip CAN NOT be printed full size. That is to say, when you take these to kinkos to have them printed in Adobe PDF format the actual written dimensions will be correct but the lines will not be correct. Instead of actual size being 22 inches it may only be 21.7 inches if you where to put a ruler to it. The DXF files can absolutely be printed full scale by Kinkos. Unfortunately, some Kinko's employees may not be familiar with this type of file. Tony tested this at his local Kinko's and they came out at the full accurate scale.